Here's a great question I received via private message on Facebook during the week, which I think is relevant to all of us. I'll make an assumption here that the intent is to talk about how to fit trading into "life". That is, how to find sufficient time for not only trading, but all the admin pre and post-session, plus the never-ending tasks of personal and professional learning and development. Yeah… there is a lot to do. There are no shortage of supposedly effective time management systems. These are two of the major systems I've tried over the years, both of which have a big following. But there are no shortage of others if you feel like searching Google for "time management". So what system do I use? Whenever I implement a comprehensive system for managing my time, I end up spending too much time working and managing the system, rather than doing productive work. But hey… maybe that's just me? There are millions of people around the world who swear by these type of systems. Give them a try. Just because I didn't find them effective, doesn't mean you won't get great value out of them. So what do I do then? Let's call it a "Time Management Non-System". I have general themes in life; things that are important to me. Family, trading, YTC, personal and spiritual growth & development, and a bunch of other stuff. And I just work on whatever I feel most motivated to work on at any particular time. It's perhaps not as efficient as the above "systems". But it works for me. Now… here's the important bit though, which was my motivation for sharing this via an article rather than just a private message reply. Whether you operate with GTD or Agile or the "YTC Time Management Non-System", there is a foundation that needs to be in place first. It is the key that ensures you not only find time for all your trading activities, but that you also make maximum effective use of this time. Without this foundation, you're wasting your time (pun intended!). What really matters is NOT how you prioritise all your competing tasks and schedule them across your limited calendar. Instead, what matters is how productive you are with the time you spend on each of your tasks. Ultimately we are not managing time, but rather managing ourselves and how well we are able to apply ourselves to the task at hand. And we do that by managing our ENERGY and our MOTIVATION. Perfect prioritisation and scheduling of tasks is pointless if you don't have the energy to make productive use of the time. Perfect prioritisation and scheduling of tasks is pointless if you don't have the motivation to work efficiently and effectively on the task. Energy – Keep fit and healthy, in mind, body and soul. Sleep well. Keep hydrated. Eat healthy foods. Exercise. Maintain good relationships. Motivation – Fill your life with reminders as to the "WHY" that drives all your efforts towards trading success. If you lack energy and motivation, it doesn't matter what task you allocate to a particular block of time. It will be poorly executed. But if you have high energy and are bursting with motivation, you'll ensure efficient and effective use of your time. So if you wish to be effective in completing all daily trading routines and also allowing time for personal and professional development, then work to first ensure high energy levels, and do ALL YOU CAN to ensure massive motivation towards your trading goals. The task for you now, if you haven't already done so, is to spend some time thinking about how you can improve your life in terms of both ENERGY and MOTIVATION FOR TRADING. Because I don't believe it matters which time management system you ultimately choose to use. Or even if you choose to live without one. If you are highly energised and motivated, you'll not only find the time needed to work on your trading, but you'll also quite likely be unstoppable. As A Discretionary Trader, How Do I Define My Edge? "As a discretionary trader, how do I define my edge?" Part of my pre-session routine involves a quick review of my Motivation Journal. The Motivation Journal is simply a folder containing various pieces of text or image material which I find sufficiently motivating; the aim being to ensure I face each trading session with focus and commitment and, most importantly, confidence. The YTC Price Action Trader discusses the sections and contents of my journal in Chapter 10. While the content itself changes from time to time, I've been consistent in following that same format for the last six or so years. However, last weekend I came across a video which I found fascinating, and which has led me to consider changing the format of my Motivation Journal. It's a TED Talk by Psychologist Philip Zimbardo who you might know from the 1971 Stanford Prison Experiment. The topic of this talk is "The Psychology of Time"
Here's the video. Please watch it. It only takes seven minutes. If you have time (pun intended) there is a link at the bottom of this article to a longer video presentation showing a lot more detail. Highly recommended! If not… the 7 minute video shown here will be sufficient to cover the basics. Nothing surprising here in that it's all overly biased towards the positive side. This is a great way to view life. But I think it also has application in daytrading, in providing structure to our Motivation Journal and ensuring it addresses all three time perspectives. A greater likelihood of commencing the trading session with a positive and focused mindset. And a subsequent increase in likelihood of quality performance. "The words we attach to our experience become our experience." 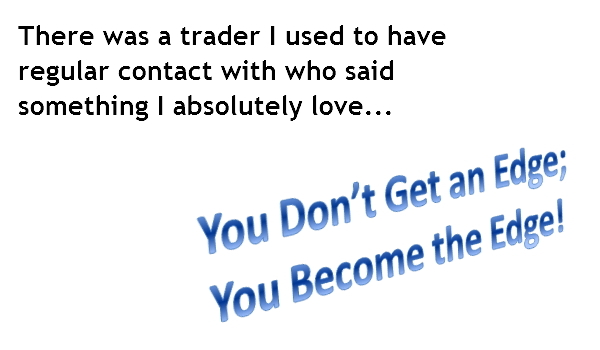 The following are extracts taken from email Q&A with traders (taken at random from my email archives). I love trading and keep on working hard, striving to become a better trader each day. I am constantly working on my weaknesses but they are now finally in a minority of sessions. I took 2 months off and took a step back from the charts. I was able to identify several very big problems with my "process", and since then I've addressed the concrete problems and am constantly working on the less tangible issues. The first half of 2013 was incredibly painful, but taking that step back was like a breath of fresh air. I came back to the screen in June, and since then I've doubled what I made in 2012. More importantly, I am much (much!) happier with my process, especially with regard to my journaling and daily review. I'm still working on it, but the idea of process > outcome has become a central theme – I've even printed it out and posted it on the door to my office and on the wall above my main monitor. I ran through the psych and emotional cap exercises in your YTC ebook, and the evolution of my answers have been very instructive as I look through the past 2 years in general and the last 10 months in particular. What do you notice that is common amongst all these statements? For me, they are all positive and empowering. These traders are taking personal responsibility for their own growth and development. They are actively working on themselves – expanding their knowledge, building their skill levels and adopting a positive growth mindset. I am not greedy – I just want to execute the perfect trade everytime and let rest take care of itself. Why do I always feel lost when I look at the chart? I don't care that you disagree. It's clear to me that the broker screwed me over. Well, apart from the last one which I just find amusing (I guess that comes from my arrogance), what are the common elements in these statements? Performance psychology plays a VITAL part in my daily trading routines and processes, as I've outlined in the image below. Have you established your own tools, methods and strategies to ensure peak performance? 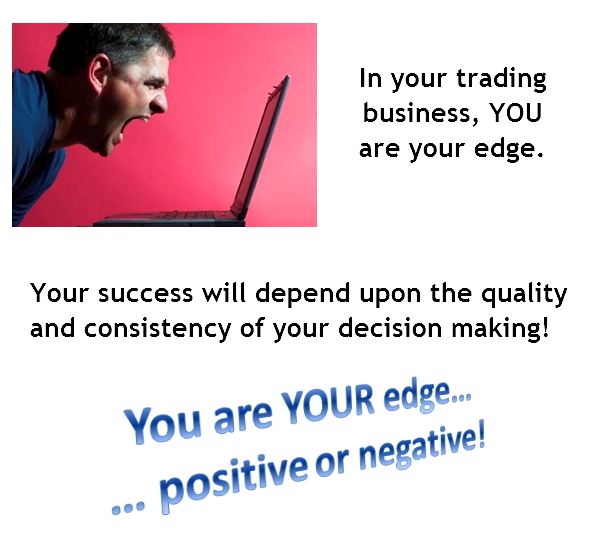 Your trading strategy may contain a tested and proven edge, and yet all too often we see traders poorly implement a strategy leading to underperformance or complete failure. 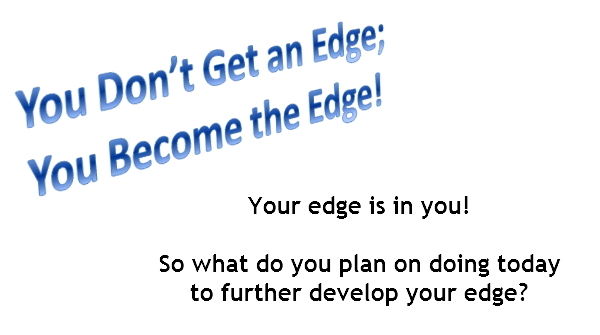 This is because the edge within your strategy is really only a POTENTIAL EDGE. The reality is that… YOU ARE THE REAL EDGE. It's the implementation of your plan which determines success or failure. 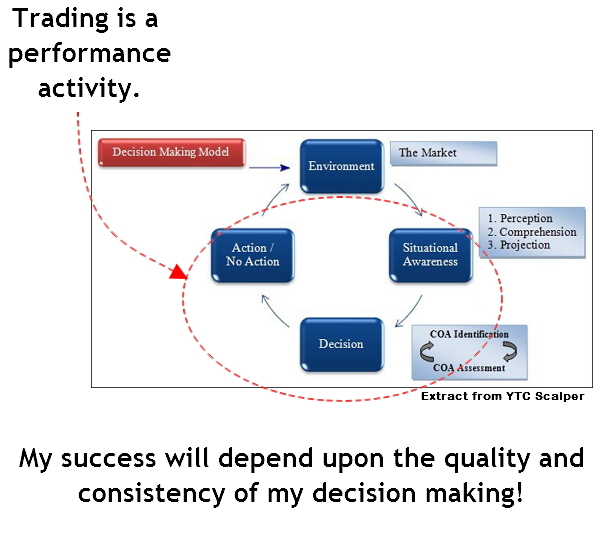 Trading is a performance activity. Success requires effective operation under pressure. Effective operation requires simple, practical tools and strategies designed to manage your state and optimise your performance. If you do not yet have effective tools and strategies in place, then you need to take action. Use the headings within the Performance Psychology mindmap (above) to (a) guide your study on the topic of performance psychology, and to (b) guide you in developing routines to maintain focus on process and to establish and maintain a peak performance mindset. Does Trading Add Value to Society? I saw this in your recent article, "And I certainly believe that the career of a trader does provide significant benefits for society (a subject for another future article perhaps)". May I know where to find your article that talks about whether "the career of a trader does provide significant benefits for society"? 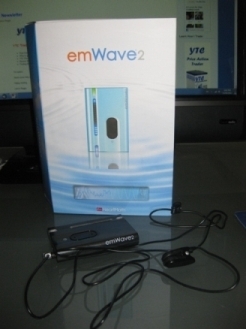 Several weeks ago I advised in the YTC newsletter that I'd bought an emWave2 biofeedback device. My plan was that I'd experiment with it over the following 6-8 weeks and report on it's effectiveness as a state management device for traders. Quick summary… I like it… and I'm going to keep using it! 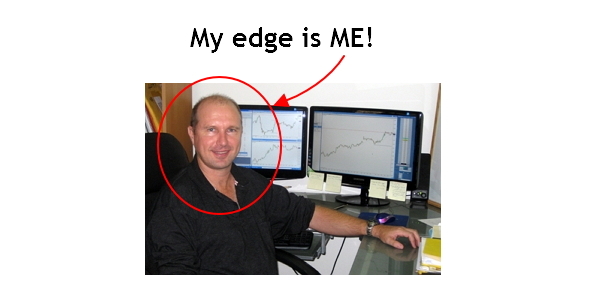 I'd heard of biofeedback being used by traders before, through the excellent blog posts and books by Dr Brett Steenbarger (see here for all three of his books under the Trading Psychology heading). But I'd never had any thoughts of experimenting with it myself. The last thing I wanted to do was to be "wired up to a computer" while trading. This is quite an interesting article about NFL kicker Billy Cundiff and his use of the portable emWave to place himself into peak physical and mental state prior to performance. This got me interested. And a quick search through Dr Steenbarger's old blog posts and a review of his books, led me to the discovery on page 84 of The Daily Trading Coach that the emWave is the same unit used by Dr Steenbarger himself. Now I was really curious… and I just had to try one!